Here is a look at the preliminary games at the Northfield girls basketball sectional. Golden Eagles in a 47-40 Oak Hill win. Friday night, for three quarters, it was much of the same, but Oak Hill hit 11-13 free throws in the final 5:21 of the game to turn a five point lead into a 54-36 win over the Knights. 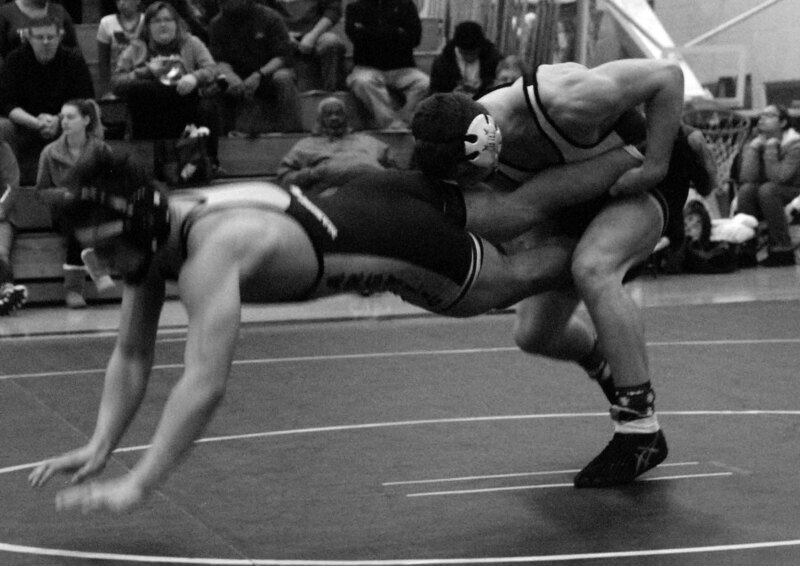 Wabash County had two champions, along with seven others advancing to semi-state at Allen County War Memorial Coliseum in Fort Wayne this Saturday. Manchester advanced four wrestlers, while Wabash had three move on, and Northfield and Southwood both had one wrestler advance. 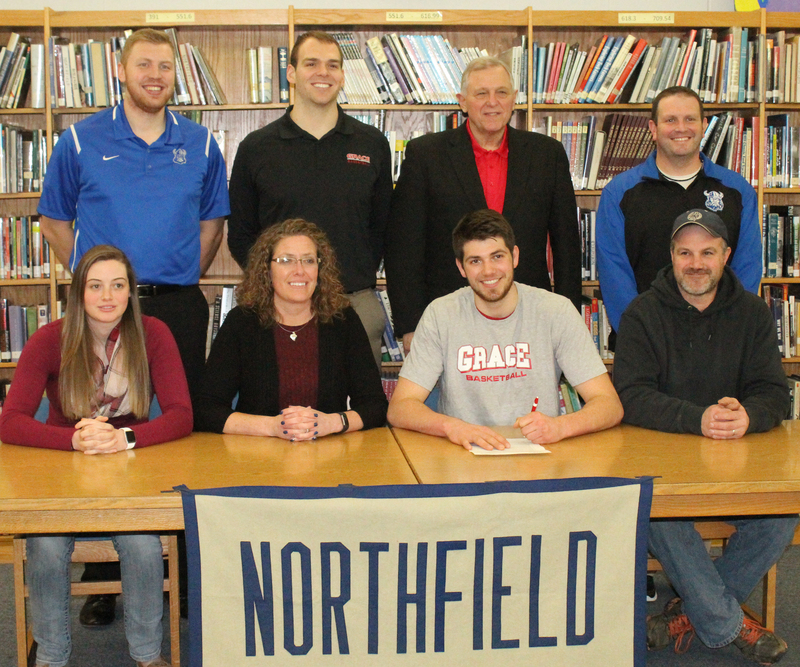 Northfield center Cody Holmes will continue his basketball career next season at Grace College. Holmes signed a letter of intent to play for the Lancers on Friday while family, friends and coaches looked on at the NHS library. 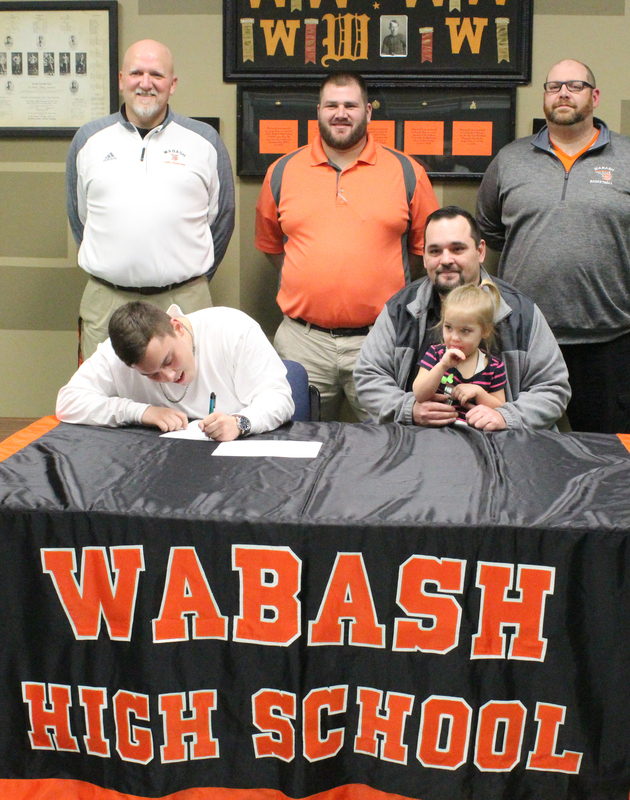 Wabash High School senior Austin Hiatt will continue his football career at Aurora University in Aurora, Ill.
Hiatt signed a letter of intent to attend the university during a brief ceremony on Wednesday, Jan. 18, at the high school. 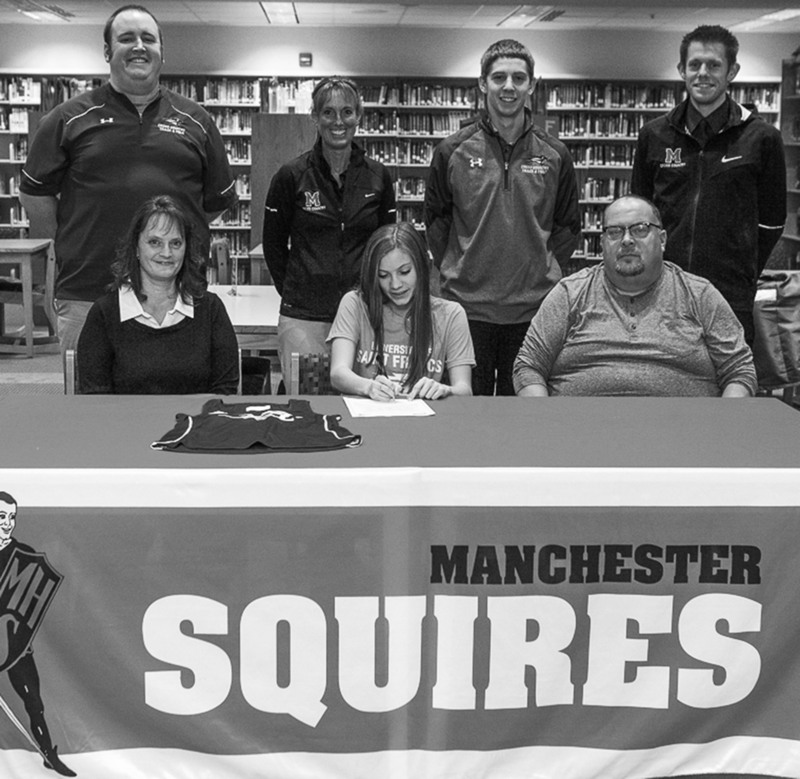 NORTH MANCHESTER -- Manchester High School cross country and track runner Clara Burdette will continue her education and running career at the University of Saint Francis in Fort Wayne. Burdette has been a mainstay with the Squire junior high and high school running teams since sixth grade. HUNTINGTON -- A group of approximately twenty Wabash County Special Olympic athletes participated in the 10th annual Huntington County Basketball Invitational at Huntington North High School. The Wabash County athletes joined athletes from Huntington, Howard, Cass, Porter, Madison, Allen, Jay, Dekalb, Grant, Elkhart, St. Joseph, and Wayne counties for this fantastic event. 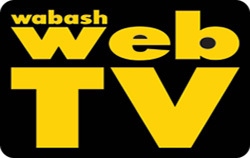 BUNKER HILL -- The Wabash girls finished third and the Wabash boys placed fourth on Saturday at the Three Rivers Conference swimming meet at Maconaquah. Manchester’s girls and boys both finished fifth in the event. Maconaquah boys and girls each won the TRC titles in their respective competitions. Wabash and Manchester made a memory Saturday night. 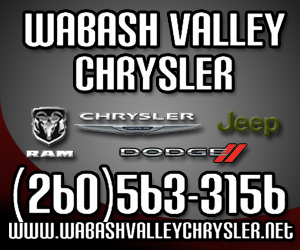 The Wabash County and Three Rivers Conference rivals struggled to put points on the scoreboard as the two teams combined for 32 points with the Apaches scoring the final four points of the game over a four minute stretch to top the Squires 19-13. “We just put offensive basketball back 40 years,” Wabash coach Matt Stone jokingly said after the game.